Leslie Orear, a lifelong labor activist, died in Chicago on May 30 at the age of 103. After entering the Chicago stockyards at a time when the idea of unions for blue-collar workers was spreading like wildfire, Orear quickly emerged as a voice for stockyard workers. Leslie Orear started in the giant packing house’s sweet-pickle shipping department in 1932, tying string onto hunks of bacon. It was often hot and stunk, and the pay was a measly 32.5-cents an hour. But Orear needed the job at the Armour & Co. plant in Chicago’s Union Stock Yards. The Great Depression had pulled him out of college, and he needed work to help his family. The job turned out to be an eye-opening encounter with an industry that had changed little in the decades since Upton Sinclair exposed the stockyards’ cruelty in his turn-of-the century novel, The Jungle. The experience also became a doorway for Orear into a lifetime of labor activism, and ultimately a place as a spokesman and guardian of labor history. A co-founder of Illinois Labor History Society, he fought to preserve the places, struggles and words that have marked workers’ march towards progress. “He was the agent of change for some of the most important things in American and labor history but it was never about him. It was always about other peoples’ contributions. People don’t know his name,” says Larry Spivack, president of the Illinois Labor History Society and regional director for AFSCME Council 31. When workers at the Armour & Co. plant began trying to unionize in the mid-1930s, one of Orear’s first tasks in the movement was to become an editor of the Armour Cleaver, a weekly handbill for the union drive. He was given the job, because he was one of the activists who could spell, he explained years later to me with a chuckle. The story of this union is visceral, written by the men and women of humid gut shanties and stinking tank rooms. Their hands slew the steers and linked sausages stretching to infinity. A union’s meaning lies in its capacity to turn around personal frustration beyond the individual to a larger commitment to the collective good. That response gives life to the automaton and gives purpose to the cog in the wheel. Mindful of the packinghouse workers’ two prior failures to organize, Orear was a white union activist who focused on the need to bring together black and white workers. “That was why the packinghouse workers became one of the most progressive unions,” Spivack explains. Indeed, a Chicago Defender story from 1939 talks about the way that black workers—from the union’s assistant national director down to shop stewards—were the “backbone” of the Packinghouse Workers Organizing Committee, the union’s forerunner. The PWOC was chartered by the CIO in 1937 and it became the United Packinghouse Workers of America in 1943. Orear worked as an organizer for the union and later as editor of its newspaper, the Packinghouse Worker. After several mergers, the union became known as the United Food and Commercial Workers union. The Union Stock Yards closed in 1971 after 106 years, leaving small only small remnants of the industry in Chicago. Concerned by workers’ lack of knowledge about labor history, Orear joined together with a group of labor leaders and advocates in May 1969 to mark the Haymarket Square incident in Chicago. That was the 1886 riot when workers, rallying for an eight-hour day, clashed with police. Seven police officers and at least one civilian were killed and eight labor leaders were convicted for inciting the riot. Four were eventually hanged and one committed suicide. Workers worldwide celebrate the legacy of that event on May 1. The gathering inspired Orear, who became a co-founder later in 1969 of the Illinois Labor History Society. After retiring from the union in 1977, he became a full-time volunteer at its downtown offices. As part of his quest to preserve documents and memorabilia about labor’s legacy, Orear helped push for national landmark status for the gate at the Union Stock Yards, Mother Jones’ memorial in southern Illinois, and the Haymarket Martyrs monument at the Forest Home Cemetery in Forest Park. Despite failing health, Orear was a frequent guest at labor union events. “To his very last days of his 103 years, he was coming up with ideas about what we should do to preserve labor history,” says Spivack. While Orear mourned labor’s hard times, he also saw hope in its history. He is survived by his three children, three grandchildren and his two half-brothers. His family has asked that donations be made to the Illinois Labor History Society. 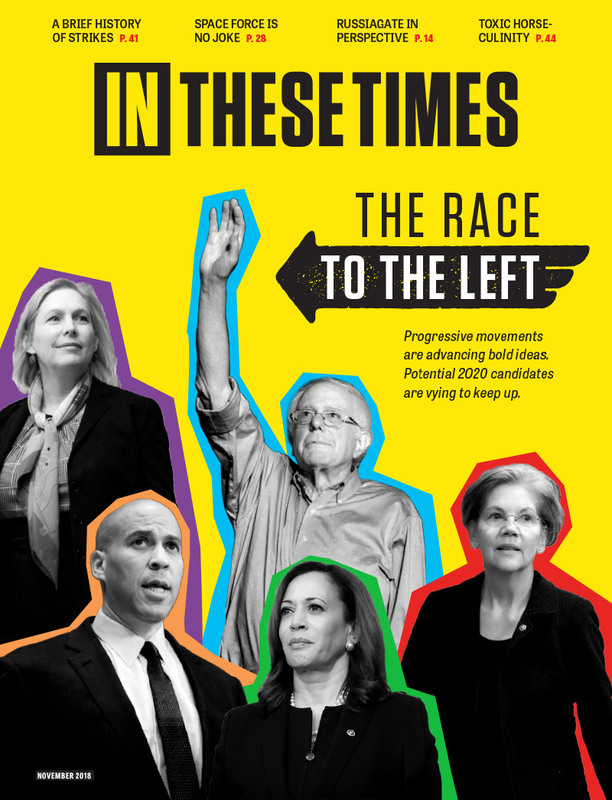 Full disclosure: AFSCME is a sponsor of In These Times. Sponsors have no role in editorial content.